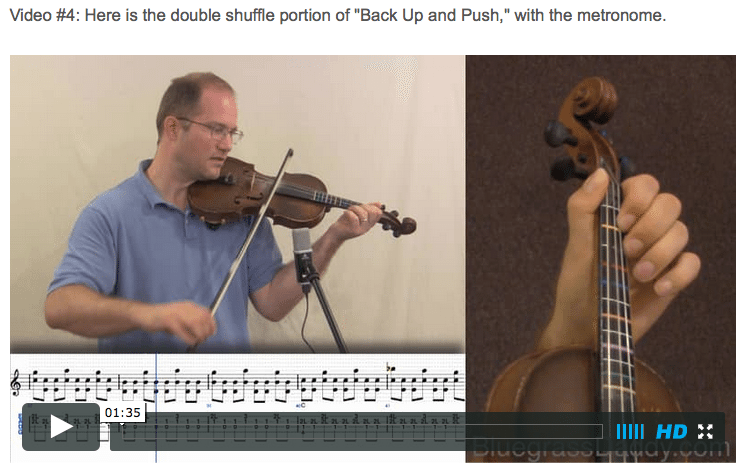 This is an online fiddle lesson for the fiddle tune "Back Up and Push." 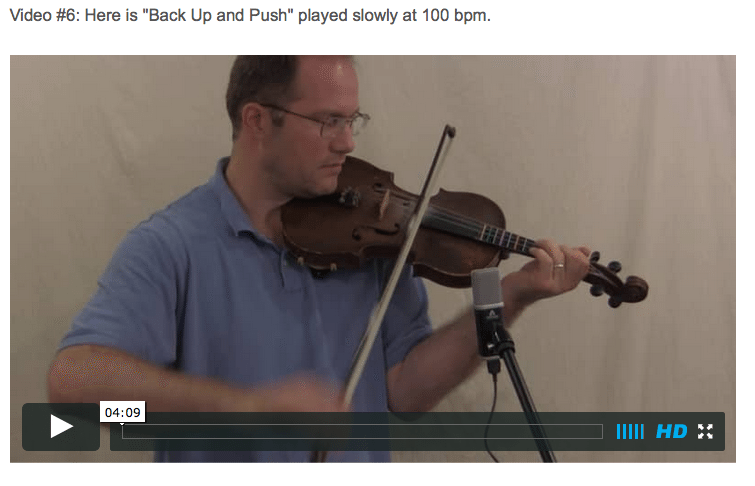 Video #1: Here is a video of me performing the fiddle tune "Back Up and Push." “ http://matthewhustad.com/wp-json/oembed/1.0/embed http://freedomschool.ca/?__hsfp=998628806 Back Up and Push or Rubber Dolly Rag” is an American tune that has touched nearly every corner of the American music scene since the melody first appeared in 1900. Danish-born American violinist/composer Jens Bodewalt Lampe, after becoming the first-chair violinist for the Minneapolis Symphony at age 16, moved to Buffalo NY in the 1890s and began to lead dance band of his own. Almost immediately after becoming aware of Scott Joplin’s new “Maple Leaf Rag,” Lampe composed his own syncopated piece entitled “Creole Belles.” This brand new type of music, which later came to be called “ragtime,” was variously described as “cakewalk,” “march” and “two-step” music during its early history. “Creole Belles” was performed widely by pianists, ragtime bands, brass bands and military bands. John Phillip Sousa championed this piece and by 1902, the Danish American had become one of the most well known ragtime composers – perhaps second only to Joplin. 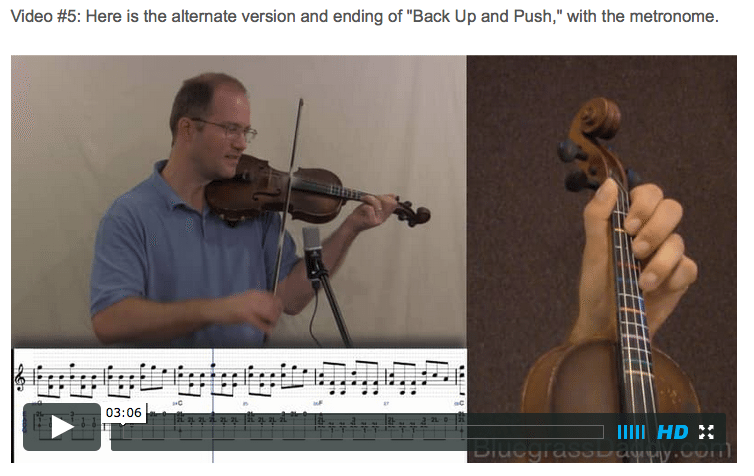 Posted in Advanced, Bluegrass, Intermediate	Tagged with: "Back Up and Push" "Kenny Baker" "Rubber Dolly" "bluegrass fiddle lesson" "online fiddle lesson" "old time fiddle lesson" "Bluegrass Daddy" "John Cockman"
This topic contains 15 replies, has 7 voices, and was last updated by John Cockman 3 years ago. Back Up and Push in the style of Kenny Baker. Thanks, thanks, thanks. One of my favorites. Love anything Kenny Baker did! I tried to learn this tune from your old video way back when but never could really get it. 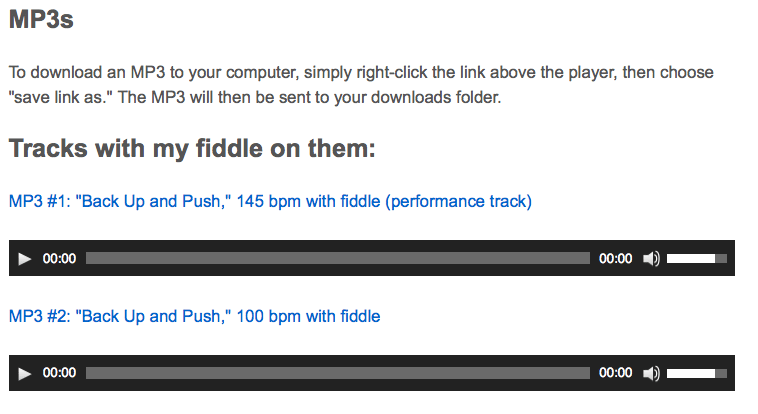 This new lesson is great, can’t wait to dive in as I have progressed a lot in my fiddling since then. Wow! What a great arrangement, John! I love that song! I can’t take credit for the arrangement, but it sure was fun to play! The advanced class learned that one at Fiddle Camp last week and I will make a video of them playing it. After two days I finally have the first 4 bars sounding bad ( a vast improvement from awful-ha). I have watched you play it a dozen times and you make it look so easy. That is a testament to your talent. Maybe by Christmas I’ll have the hokum bowing part, maybe. I am going to learn it because this song was one reason I wanted to learn the fiddle. 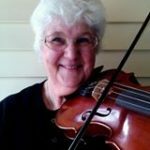 I heard a young girl named Clancy Ferguson who was 12 at the time playing it at the Ozark Folk Center in Mountain View, AR about 6 years ago and it sealed the deal for me, I had to have a fiddle. 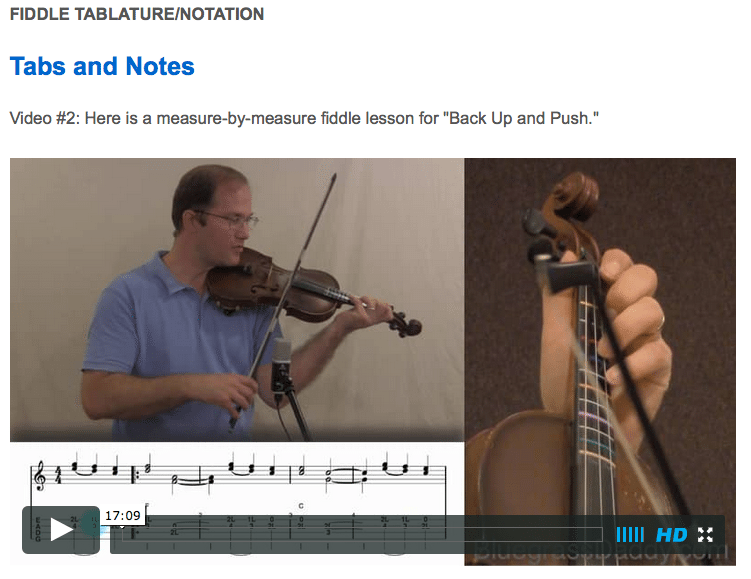 I figure if I can master this one I”ll have reached a level of fiddling I never dreamed I could attain and I will give the credit to you and your videos. Oh my! A wonderful version of wonderful song, but a bit over my head 🙂 It’s always good to have something to aim for! Maybe next year… or the year after! Bruce, you don’t have to give me the credit! 🙂 I do hope you’ll be able to learn it. Kaeleigh, I have “Golden Slippers” in the chute — I think it would be right up your alley! 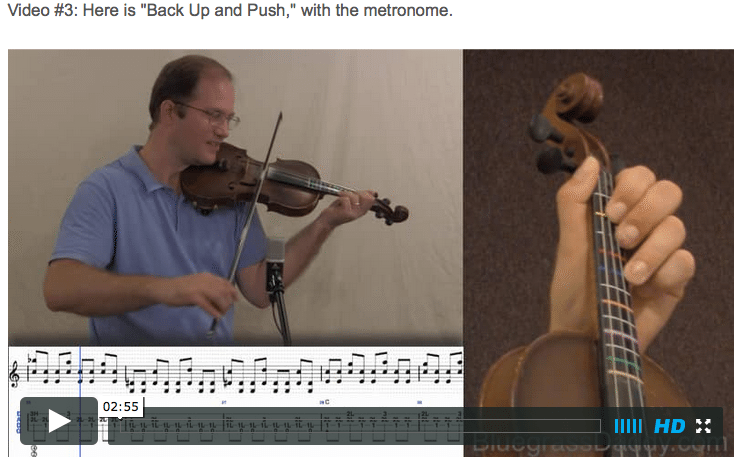 But, I will say, the “hokum” bowing on Back Up and Push is not nearly as hard as it sounds! John, that was fantastic! I have never heard it played that well by anybody. Also you look marvelous, fit as a fiddle! 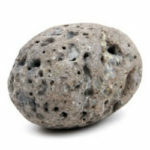 I appreciate that Rock! I am looking and sounding better thanks to you and GS as my accountability partners, but I still have a ways to go. I think GS has guided you well and I believe you will meet your goals! Like Bruce, this was the song that introduced me to the famous Bluegrass Daddy. I happened upon the old vid on Youtube, and the rest is history. I’m working on the awesome BGD variations of Whiskey Before Bfast. When I have them under the fingers, I’m going to jump back on this one. Can’t wait!! And, uh, I hate to argue with the master, but hokum bowing is not as easy as BGD makes it sound like it is. 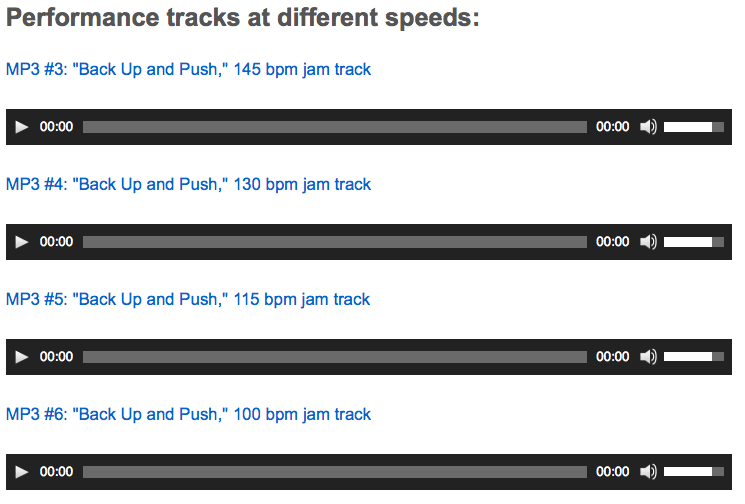 hahaha Maybe it could be like riding a bike (or vibrato)…once you know how to do it, you don’t know how to “undo” it. We shall see. Ha maybe you are right, Angela! To me it is the easiest part of Back up and Push. HaHA! Gu, you will have it down pat in no time. Thanks for your prayers! Imagine a three-legged rabbit running from a cat. That is hokum bowing.